Thank goodness it's Friday! It's been a busy and long week here and I am ready to unwind for the weekend! Need some help unwinding? 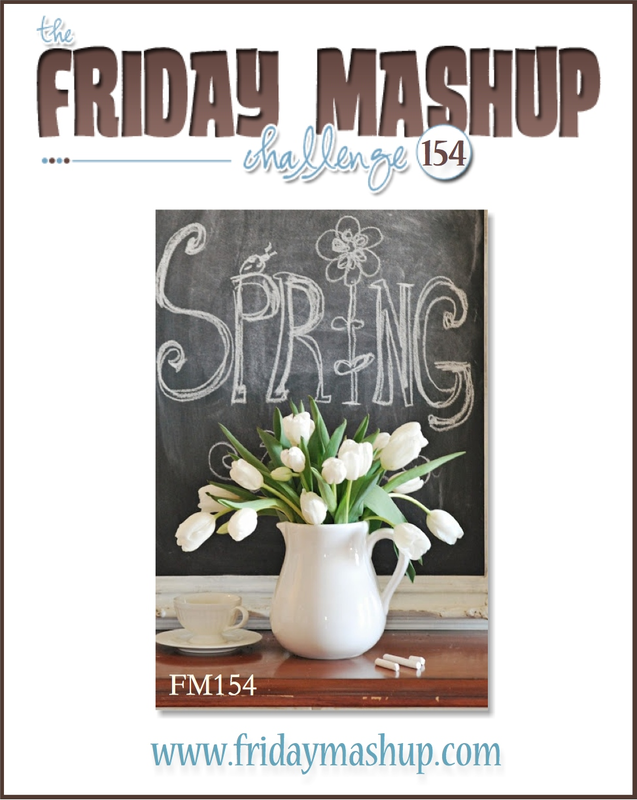 Tara is our hostess this week at The Friday Mashup and she has a great challenge for us. She wants to see projects with a spring theme, and she'd also like us to try the scattered embossing technique. I decided to use this great stamp, Vivid Vases. I just love everything about this stamp! The colors are pulled from the Gingham Garden DSP. For the embossing I took the Square Lattice EF and put my card base in there. I then used the stylus from the scoring board to highlight the spots where I wanted embossing on my card. In the video that Tara provided the gal uses vellum for the technique but I wasn't keen on that, so hopefully I got the technique right by doing it the way I did. Either way its something I haven't tried before, so I can knock it off the list! I hope you'll head over to The Friday Mashup to see what the rest of the DT did, these ladies blow me away every week! Create a project using the "Scattered Embossing Technique". Create a project with "Spring Colors or a Theme". Or Mash it up and create a "Spring project with the Scattered Embossing Technique". I love how you used the technique Lisa! It pairs perfectly with the gingham DSP. Super card, Lisa. I love seeing your creations- so sharp, so precise in detailing. I love how you did the embossing- perfect! 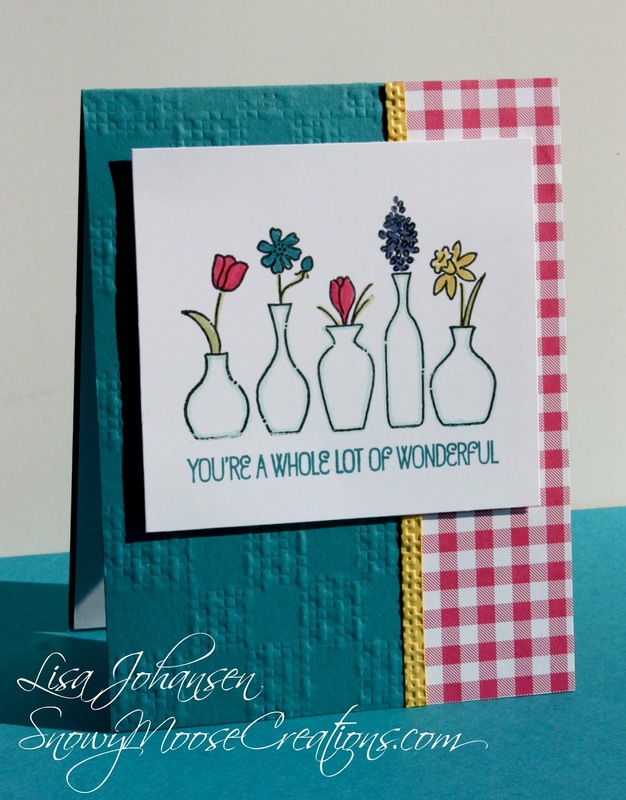 Beautiful springy card Lisa! I love how you used the Scattered Embossing Technique! Great job!! !